David John Giusti was born on November 27, 1939 in Seneca Falls, New York. Guisti attended Syracuse University, & was the Captain of their 1961 College World Series team. This was the same year Ernie Davis won the Heisman Trophy at Syracuse & rocker Lou Reed was also studying for the Orange. 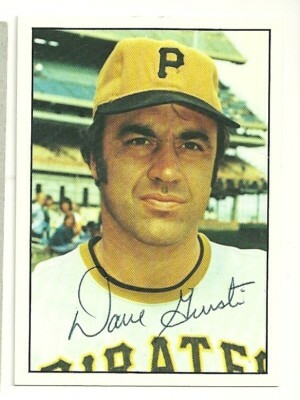 Giusti got signed that same year by the expansion Houston Colt 45’s & debuted the next season going 2-3 as a reliever. He bounced back & forth to the minors, going (34-27) making the Houston staff for good in 1965. By this time the team had changed their name to the Astros & Giusti won 15 games (10th in the league) going 15-14 with a 4.20 ERA. He would win 11 games in each of the next two seasons but posted losing records both years. He was traded to the St. Louis Cardinlas for the 1969 season going 3-7 with 12 starts in 22 games. He then was sent to the Pittsburg Pirates where he found a new home & new career. Pirates manager Danny Murtaugh ,converted him to a full time reliever & Giusti became one of the NL’s top firemen of the early seventies. 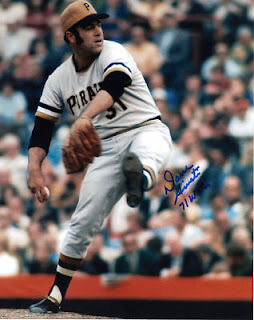 Using his sinking palm ball he went 9-2 with 26 saves (2nd in the league) in 1970 helping the Pirates win the NL East. He would go on to finish second in the NL in Games Finished three times & finish in the top three in saves all but one season from 1970-1975. 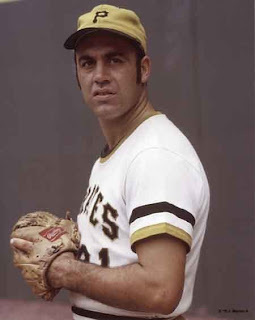 In 1971 he led the league with 30 saves as the Pirates went on to win the World Series beating the Baltimore Orioles. He pitched five scoreless innings in the 1971 NLCS & then earned a save in Game #4 of the World Series at Three Rivers Stadium. Over seven innings in that post season he posted a zero ERA & won the Sporting News Relief Pitcher of the Year Award. In 1972 he was 7-4 with 22 saves (3rd in the league) posting a 1.93 ERA, getting to his third straight post season. In that NLCS he earned a save in Game #3 at Riverfront Stadium but was the losing pitcher in the 5th & final game in Pittsburgh. In a wacky 9th inning, Giusti came in to close out the Series ahead 3-2. 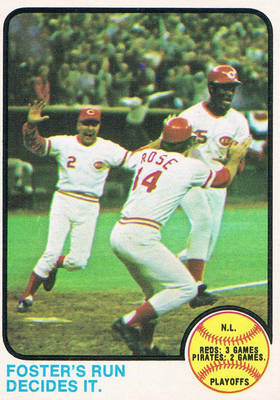 Johnny Bench led off the inning with a game tying HR, then Giusti allowed singles to George Foster & Tony Perez. Manager Danny Murtaugh pulled out Giusti replacing him with Bob Moose who threw a wild pitch, allowing Foster to score the winning run. In 1973 Giusti posted 20 saves (3rd in the NL) going 9-2 with a .818 winning % making his only All Star team. He would pitch three more seasons in Pittsburgh coming in third & fourth in saves over the next two years. In 1977 he pitched for the Oakland A's & Chicago Cubs saving seven games going 3-5 with a 3.89 ERA. He retired at the end of the season at age 38. Overall in a 15 year career he saved 145 games (77th all time) with a 100-93 record, posting a 3.60 ERA with 1103 strikeouts & 570 walks in 668 appearances with 380 games finished (67th all time). Retirement: After baseball Giusti became a corporate manager for American Express & is now retired living in a Pittsburgh suburb. 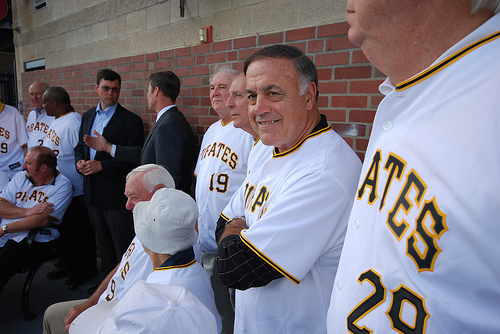 In 2012 Giusti was on hand at PNC Park for the fortieth anniversary of the 1971 Pirates World Champion team, as the 16 surviving members were honored.